The first speciality cheese, Caprice des Dieux, was produced at the family dairy in the village of Illoud in the Haute-Marne region of France. Its unique recipe and oval shape, its distinctive blue box and original name marked it out from other cheeses of the time. The story began with the sale of the first box of Caprice des Dieux on 21st June 1956. In 2016 , Caprice des Dieux turns 60 ! Made from milk collected less than 60 km from the dairy, Caprice des Dieux is a mild, creamy cheese, providing a moment of pure indulgence. The beautiful white exterior reveals a smooth, creamy heart and a delicate crème-fraiche flavour. Simple and natural ingredients are the unique recipe of Caprice des Dieux: 98% milk, cream, a pinch of salt, lactic ferments, and that’s it! To make it suitable for eating at any time and to satisfy any whim, the brand has developed different formats over the last 60 years. Mini Caprice adds portability to the smoothness, offering three individually-wrapped (50g) caprices to cope with any mini-treat needs. En Cas de Caprice delivers a creamy heart and crème-fraiche taste, kept fresh by its protective wrapper that opens up according to how much you need, helping you to help yourself. For a little snack, with pre-dinner drinks, in a salad… just unwrap as much as you want! It’s just a short step from gods to angels, with divinely-fresh, super-creamy Caprice des Anges, kept perfectly fresh by its transparent dome cover. The Caprice des Dieux TV advertising campaign, which began in 1968, has been inseparable from the brand’s success. In the adverts, little angels present “a love of cheese that’s fresh as a rose and mild as a sky in springtime.” 1985 saw the start of the famous, long-running campaign that still to this day uses the signature line: “Caprice à deux, Caprice des Dieux” emphasizing how good it is to share with a loved one, so the pleasure is no longer sinful. 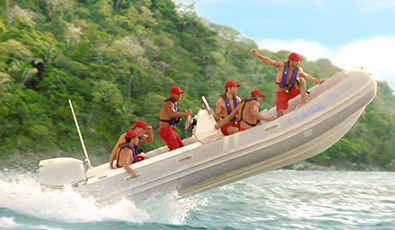 Since then, seduction, humor and greed are part of every new commercial. The iconic brand confirms its divine power of seduction: animations for lovers on Valentine’s Day, surprises for two and dreams made for mothers, news contest on the theme … of the divine caprice of course! 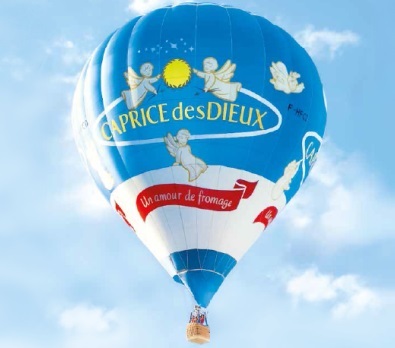 Today, the Caprice des Dieux brand has over 1,200,000 Facebook friends, consumers in more than 120 countries and 2 cheeses bought every second in the world! A famous Normand brand for cream and butter, Elle & Vire has become the everyday companion for consumers and professionals alike.